Compassion Airlift pilots Chuck VanNostrand (left) and Rick Moss stand outside their aircraft with Plattsburgh Rehabilitation & Nursing Center admissions coordinator Emily Additon. The plane, which accommodates a patient on a stretcher, brought Wanda Nephew from Buffalo home to Plattsburgh at no charge. She is continuing her recovery at Plattsburgh Rehabilitation. PLATTSBURGH — Wanda Nephew needed to get home. For nearly six months, the Plattsburgh woman, 59, and her husband, John, had been living out of a specialized facility in Buffalo, while she underwent cancer treatment. The couple hadn’t intended to be there for so long, but a bad reaction to a medication Wanda was given had rendered her unable to walk. When the time finally came for her to return to Plattsburgh and finish out her recovery at a sub-acute rehab facility, there was just one problem. Wanda was still immobile, which meant she would have to secure a ride home in a vehicle capable of transporting her on a stretcher. Insurance companies typically don’t cover transportation expenses, and an ambulance ride from Buffalo would have cost $10,000, according to Jonah Milliken, community liaison at Plattsburgh Rehabilitation & Nursing Center, where Wanda planned to recover. Even a private transport service would have run a few thousand dollars, he said. Desperate for a solution, John contacted the American Cancer Society for help and was directed to Patient Airlift Services, commonly known as PALS. The nonprofit group—which arranges free air travel for people with a medical need who can’t afford or are unable to fly commercially—then reached out to Compassion Airlift. 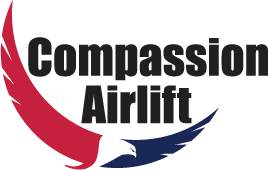 “As far as we know, Compassion Airlift is the only charitable organization which has the ability to provide air transportation in a stretcher-equipped airplane,” said Compassion Airlift Director of Operations and Chief Pilot Bob McCamish. He is among 10 pilots who donate their time flying the Virginia-based group’s Beachcraft Bonanza. “The mission of Compassion Airlift is to provide free air transportation for eligible patients to medical facilities for specialized evaluation, diagnosis, treatment or rehabilitation not available near their home, especially for those who require a stretcher en route,” explained pilot Chuck Van Nostrand. Both Patient Airlift Service and Compassion Airlift are funded by donations from the public. 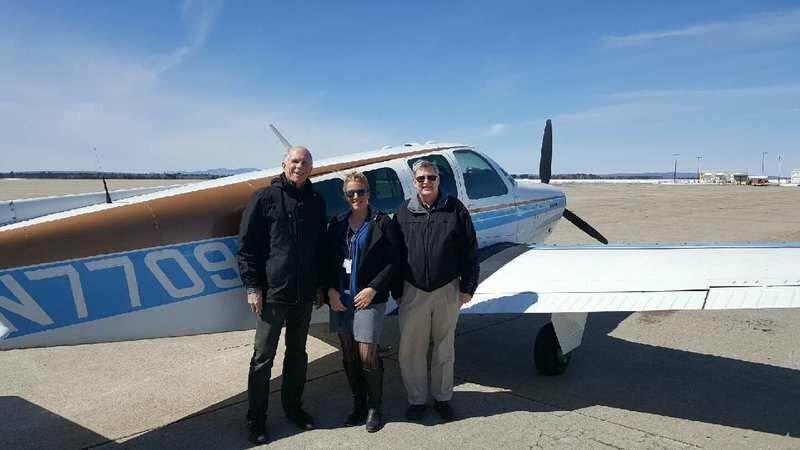 On March 30, Van Nostrand and pilot Rick Moss flew seven hours and 32 minutes from Manassas, Va., to Buffalo to pick up Wanda and her daughter, Heather Duell, who accompanied her on the journey to Plattsburgh. John drove himself home to meet Wanda and Heather at Plattsburgh’s Volo Aviation airfield, where he was shocked to see the size of the Bonanza. “The plane was small. I got a kick out of that, but she didn’t mind,” he said of his wife. Milliken and Plattsburgh Rehabilitation Admissions Coordinator Emily Additon also met the plane at the airfield, greeting Wanda with a homemade sign and flowers. “This was a pretty epic story and journey, and so we wanted to kind of welcome this family at the airport,” he said. Like Wanda and her family, Milliken was blown away by the generosity of the pilots and their organization for providing the flight. The trip marked the pilots’ first time in Plattsburgh, but there was no time to explore, as they had to make the flight back to Manassas that same day. “They literally got here, helped unload the patient, and then they took off,” Milliken said.